The Mysterious Ink Spot: Today I'm interviewing bestselling author Marie Lavendar who prefers a gel pen to a keystroke and a journal page to a computer. 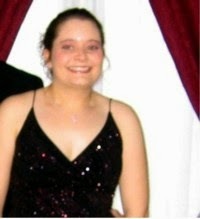 Author Rachael Stapleton. Bookworm. Cozy Time Travel Mystery Writer. Today I'm interviewing bestselling author Marie Lavendar who prefers a gel pen to a keystroke and a journal page to a computer. When asked if she had any quirks she admitted that while she doesn't write in the shower, she does find herself working on scenes in there. I had to agree...this happens to me all the time. So Marie your book is a love story involving vampires. How did you become “involved” with vampires? LOL! That’s funny because my “book boyfriend” is Wrath from J.R. Ward’s Black Dagger Brotherhood Series. But seriously, vampires have always held a fascination for me. Whether they came from movies or books, I was always interested in them. I always wanted to write about them too, and with Second Nature, I got that chance. The vampire element! It was fun to write about something mythical and to use my own imagination to fill in the details. I’ve read a lot of vampire books; therefore I had a foundation. I just had to make it my own. Of course, I loved and found myself identifying with the characters too. There are a couple of terms. ‘Others’ are supernatural beings, and another term is ‘bloodseer’, but readers won’t see that one until the sequel. All I can say is…my vampires don’t sparkle. Oh, and they don’t sleep in coffins. LOL. For the main characters in Second Nature, I would choose either Henry Cavill or Matt Bomer as Alec, and for Desiree I would probably pick Moon Bloodgood because of her exotic features. I think names are important. Sometimes I choose them because I simply like the name, but mainly I choose a character’s name because it really fits him/her. I have used a baby name book that I own, but I have also used other baby name sources online (http://www.babynames.com/). The meaning of a name or even its origin can be very significant in some stories so I spend a lot of time on http://www.behindthename.com/ or for last names, I use http://surnames.behindthename.com/. When I write historical romance, I want to be period specific. Often I will just do a search to see what common names were for the time period. With the Heiresses in Love Series, I spent a lot of time looking for both English and French names. It seems like I’ve always loved it. I’ve been writing stories since I was nine years old. I’ve never felt more freedom than I do when I’m telling a story. Do you do a lot of research for your books? Do you enjoy doing research? Yes, I believe you have to do research for every book. Some, such as historical novels, require more than others. I don’t mind the research portion of writing. It helps me find the answers I need, and sometimes it will even help jar me out of writer’s block. Maybe science fiction. I don’t mind watching the films, but I think I would find it pretty hard to write. Heavy action scenes can be challenging because I need to really visualize it before I can put it into words. For example, with my last historical romance, Upon Your Honor, I did a lot of study on fencing before I attempted to write the scenes about dueling. I watched fencing videos and I tried to understand and picture the terms they used. No, it’s not my first book. Other than Second Nature, I have written and published 19 books. Right now, I am working on the final book in the Heiresses in Love Series. It is titled Upon Your Love. I am also perfecting the manuscript for A Little Magick, book two of the Magick Series. For my next project, I will probably finish up Blood Instincts, the sequel to Second Nature. What made you choose romance as your particular genre? Do you write in other genres? I guess I just love “love”. That obsession sort of translated into a love for books about love, or romance novels. Even as a young writer, some of my stories tended to have a romantic tone. I poured over romance novels as I grew up (I still do), and it just felt natural to keep writing about romance. Eventually, I started including other elements, which would work for subgenres like historical romance, paranormal romance, romantic fantasy, time travel romance, western romance, contemporary romance and romantic suspense. I have tried writing in other genres, of course. I have written and published mystery/thriller, literary fiction and poetry. Recently, I even wrote a children’s fantasy story. I think from the time that my mom read books to me when I was tiny, I loved books. And then when I learned how to read, it opened up a huge world, a world of wonder that I couldn’t help but immerse myself in. I just loved flipping through tomes from any genre, loved the smell of new and old books and pouring over the words within. Writing, I think, naturally came out of my love of books. What kind(s) of writing do you do? Just fiction or have you tried other things? Yes, I also write other things. I write poetry in my free time and, since I’ve been published, I started writing articles for my blogs. Since Second Nature is set in Baltimore, I did a lot of research from the city of Baltimore website as well as understanding where everything was through Google maps. Via the city website, I was able to find the best park location for one of the scenes in the book. I did other types of research for Baltimore. I also did research on the Civil War, and found a lot of information on http://www.history.com/ and http://www.civilwar.org/. It did take me awhile to get access to the Roster of Civil War Soldiers, though. Both Catherine Coulter and Nora Roberts definitely influenced me. Catherine made me love historical romance, and Nora Roberts taught me to be fearless about any topic while writing. I studied Creative Writing in high school and college. There are several elements I always use. I have to agree with 1) constructing three-dimensional and believable characters. 2) Start a story “en media res”, or in the middle of things, or mid-action. 3) Oh, and don’t kill off main characters. This is a failing I have seen not only in movies and television, but also in books. It is shocking to the reader, and can ruin the whole story in most cases. I have seen only a few authors pull it off well, and only because the death was necessary for a major plot element. So, all of these were helpful guidelines. I think the most useful thing was simply the freedom to write what you wanted, what your heart was telling you. The writing community as a whole is pretty supportive, and having that is important to writers at any stage. Any feedback I received in workshops only helped to make my stories better. The same goes for any time I use beta readers or critique partners now. I think that the most destructive thing to tell a writer is to rewrite something. What was it that our English teachers told us all through school when we were writing essays or research papers? “Revise, revise, revise.” That is a far better strategy because even if you have one terrible paragraph, you can always use parts of it to improve what you have. The idea of starting from scratch is a far more daunting task, and can make it that much easier to give up on writing in general. A smart writer will start to see what is wrong with the paragraph and how they can adjust it. That’s what editing is, and it’s a very necessary instrument in a writer’s toolbox. Part-time for now, though I’d love to do it full-time. It can be a real challenge finding the time to write, but I just push myself to get something done every day, despite the distractions in my life. Start with the paranormal or urban fantasy genre. There are a lot of unique spins on the world of vampires, shifters, etc. I would suggest books by J.R. Ward, Kerrelyn Sparks, Chloe Neill and P.C. Cast as well as any other authors in the genre. Do you write more by logic or intuition, or some combination of the two? I guess it would be a combination of the two. Intuition helps with writing some scenes, and then logic helps me figure out the wording or if I need to stop and do research in order to continue writing the manuscript. I love reading paranormal, historical and contemporary romance novels. Recently, I have been reading more paranormal, but I will probably go back to historical soon. As aforementioned, I’m working on Upon Your Love, which will be the third and final book of the Heiresses in Love Series. This is a Victorian romantic suspense, and I am excited to show the book to readers! 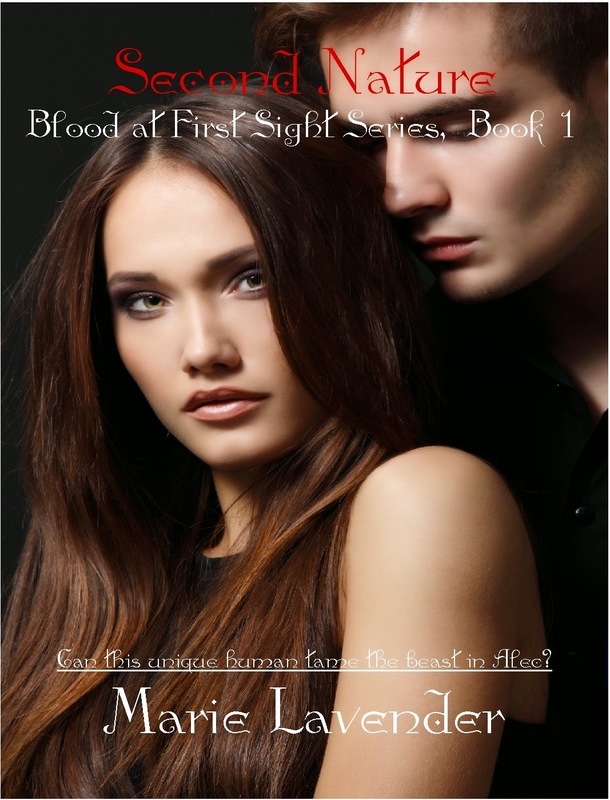 On the side, I am also working on Blood Instincts, which will be book two of the Blood at First Sight Series. I have a ton of works in progress. There is a romantic suspense collaboration called Certain Death, and that is with another writer. There will probably be at least two books in that series. I also plan to re-release all of my self-published books under this pen name. A big future project I have in mind is called the Witches of Moonhaven Series, a set of six books about a coven of witches around the time of the Salem witch trials. I have other ideas as well, so I doubt I’ll ever have a problem coming up with what’s next. How on earth do you start writing one of your stories or books? What is your process during the course of writing? My ideas come to me randomly, and the scenes pop into my head in any order. This causes the story to become a puzzle I need to piece together and once I start the plotting portion of the book, I can work at making it seamless. Marie Lavender lives in the Midwest with her family and three cats. She has been writing for over twenty years. She has more works in progress than she can count on two hands. Marie has published twenty books in the genres of historical romance, contemporary romance, romantic suspense, paranormal romance/fantasy, mystery/thriller, literary fiction and poetry. Lavender just released Second Nature, a paranormal romance/urban fantasy, in December of 2014. She released Magick & Moonlight, a romantic fantasy, back in March. Upon Your Honor, released in late April, is her second historical romance. Her current series are The Heiresses in Love Series, The Magick Series and The Blood at First Sight Series. Feel free to visit her website at http://marielavender.com/ for further information about her books and her life. Marie is also on Facebook, Twitter, Google+ and LinkedIn. Great interview and I have to agree that writing romance is the best part of writing! 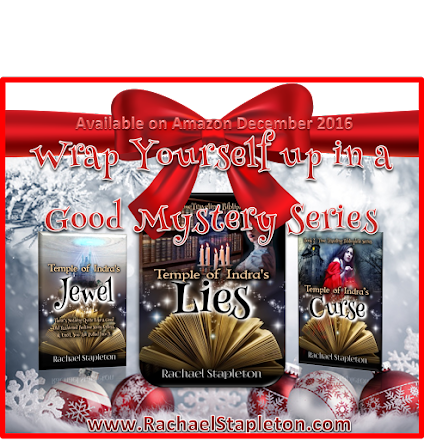 Looking for a new mystery? Check out Curse of the Purple Delhi Sapphire.